As the saying goes, 'Here's one I planted earlier'! Sometimes plant combinations can take you by surprise, providing a better show than you ever thought possible. It's great when that happens, and you feel so proud of bringing to life this beautiful creation. This is what happened with my steep-sided, rockery slope that drops to a sunken seating area. There are several levels here, with the higher level patio just showing on the left, and on the right is a waterfall with stream. Stunning, deep pink, delicate flowers. Surprisingly hardy except for really cold winters, as these plants are usually sold for annual summer bedding. They are strikingly beautiful cascading over hanging baskets, borders and pots, and will give good coverage. They will come up the next year, if undisturbed, and the frosts haven't been too severe, which is definitely an added bonus! Two have been planted to draw the eye along the border. 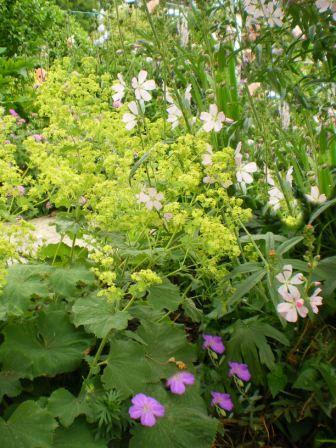 Repeat planting is a good idea in planting schemes in order to bring cohesion to the whole. This one is the perennial variety, rather than the annual used for hanging baskets. Although they are very similar, the perennial ones have slightly larger flowers and are more robust. 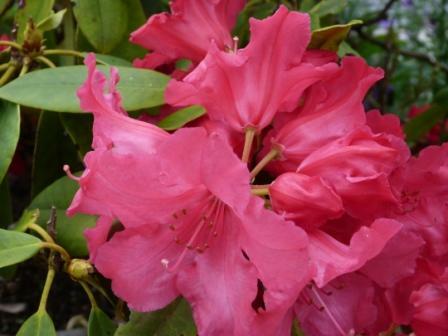 Even though they are perennial - meaning they die back after the first frost and come back next year - they are, in fact, only frost hardy and need a sheltered position to survive the winter. But what a show with their gorgeous deep violet colour! This is the heavenly blue variety, and it is just that! Bluey-pink spires contrast beautifully with the other stronger colours. Again, planting has been repeated. You either love it or you hate it! - the smell, that is. I planted this particularly for the musky, mediterranean fragrance - Mmmm.. It has pink globes of flowers that trail and fall over paths and beds. You can tell it is late in the season because the caryopteris is in flower. Its blooms are a fantastic deep feathery blue. Just stunning! Tall pale pink spikes blend beautifully with the purple, deep pink and blue. It is just out of the picture - oops! - but you can see it here. As our experience grows, we begin to know what flower colours, leaf colours and textures will go well together at particular times of the year. In this spring combination, the whole is definitely greater than the sum of the parts! When plants work so brilliantly together, we want to ensure they stay that way...for a long time. During the summer, the spirea japonica 'Goldflame's' leaves turn green - admittedly providing a foil for summer flowering perennials - but nothing like the flaming leaf colour of the spring. At the same time, what looked like some dried up old leaves, fit for the compost heap, in the spring, turn into a truly stunning carpet of vibrant blue that's almost luminescent in its beauty! The sun-loving spirea provides a shady spot for the moisture-loving omphalodes cappadocica. On their own they are gorgeous, but together they form an absolutely magical twosome. See how they match up on the colour wheel below. Exactly! 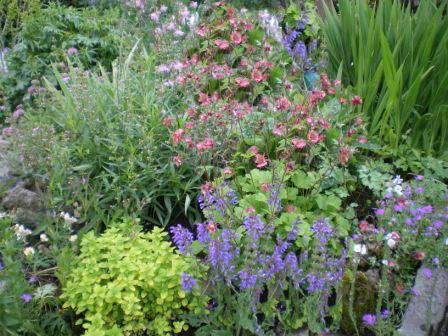 This planting scheme uses colours that all blend beautifully together - pinks, purples, blues. 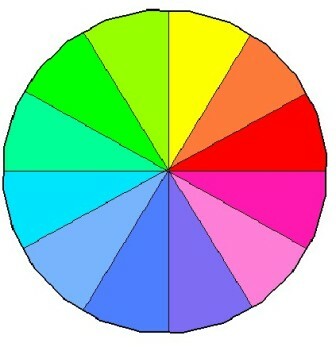 You can see these colours in the bottom half of the colour wheel. There are many planting combinations that use colours that are comlimentary - those that are on opposite sides of the colour wheel. These can be just as effective. I particularly like the greens with either the red, pinks or purples. Zingy lime green foliage works as a fantastic foil for other plants and can really bring a planting scheme to life! 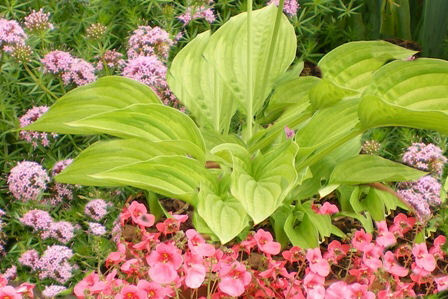 This is a lime green hosta with hot pink diascia and the paler pink phuopsis. Here is some golden marjoram setting off the beautiful purple salvia in the foreground and the unusual pink heads of a gorgeous geum. 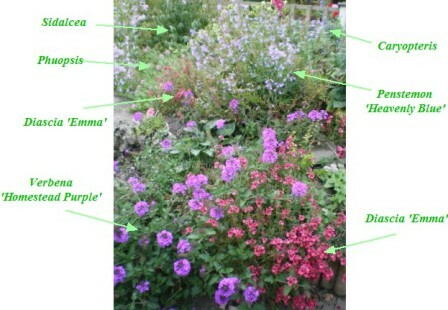 Most of these plants come from the same side of the colour wheel. Only the lime green is from the opposite side, bringing the whole design to life - the reason why zingy, lime greens are like gold dust in gardens with a muted pink and purple colour scheme. Creamy colours work well, too, with a pink and purple scheme, bringing everything alive. As cream is between the stronger lime greens and yellows on the colour wheel, it's easy to understand why. So beautiful in the garden and in flower arrangements, the lime green fronds of alchemilla mollis certainly create a magnificent display during the summer months. Here it is grouped with the magenta geranium sanguinium (so useful for shady areas) and a delicately beautiful pale pink sidalcea, (reaching up to the sunshine). 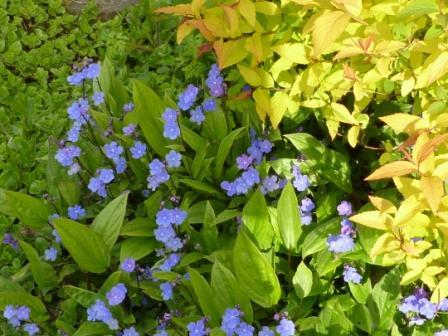 The yellow/orange and blue/purple plant combinations are often a popular choice. 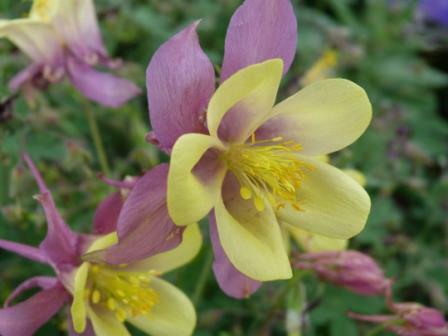 I know this is only one plant - a fantastic aquilegia - but it shows how the yellow and purple go so well together! 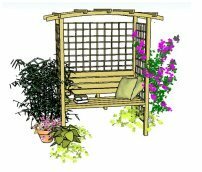 For a successful display - the more adventurous can push the boundaries, here - whether in a border, rockery, tub or hanging basket, follow these rules. Find healthy plants that follow the principles of colour scheming, as outlined above - use the colour wheel to check. Make sure that your plant combinations are going to flower at the same time! Try to create a mix of leaf size, shape and colour. 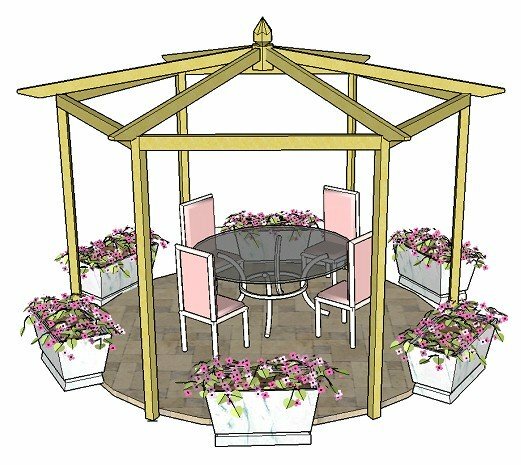 This can be used as effectively as flower colour alone - bronze, grey and lime leaves can bring a garden to life. 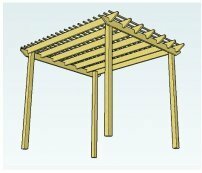 Be aware of height and spread - leave plants in pots and place in planting positions, before planting, so that you can rearrange easily. Many shrubs, that are small in the nursery, can become huge! See my choice of 25 fabulous plants that are wonderful for the garden border and easy to grow - there are some real stunners! It might give you some ideas for plant combinations for the season ahead!